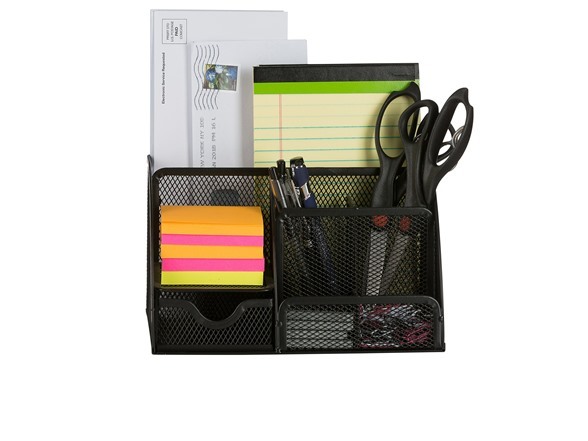 PERFECT SIZE This beautiful Office organizer comes with 6 compartments of perfectly sized dimensions that will keep the stuff you need at hand. 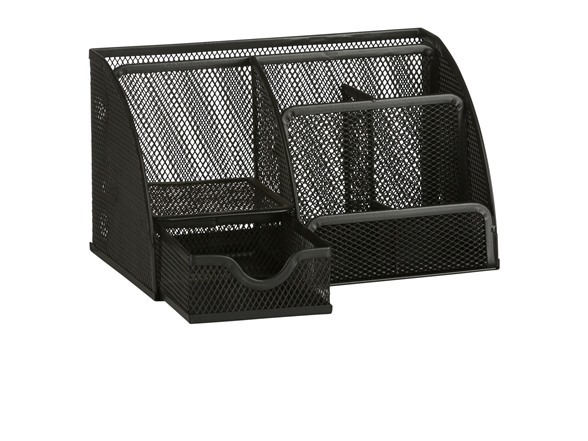 LIGHTWEIGHT, YET STURDY The great Office Caddy is made of a sturdy, mesh metal and a solid metal base, meaning, this can take the heavy weight of pens, even metal scissors and rulers, and remaining in it's beautiful shape. CLASSIC LOOK The OfficeMate Caddy looks very classy on Every Office Desk, and even more so at a Home Office Desk, it's smooth and feels great to the touch, and rounded edges are trimmed. Four soft rubber grips protect your desk.